Big Data systems take in data from many sources, integrate it, correlate it, and then offer a summary of current information using a variety of visualization and reporting mechanisms. 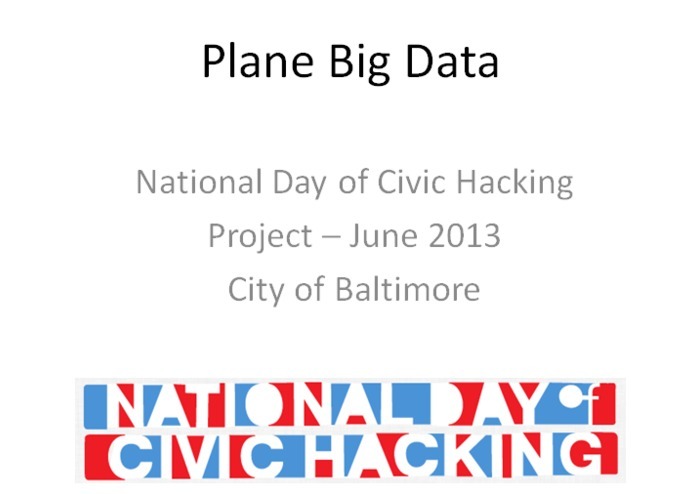 Although there are a lot of data sources available, this Civic Hacking event focuses on publicly available data from the Federal Aviation Administration (FAA). The data will either be live or captured data which shows airport locations and near real-time flight information of various carriers. The real-time aspect provides additional challenges which likely will yield an interesting design. The result: An open source suite of data and code to help solve problems in the air/space/maritime world. Thanks for helping!